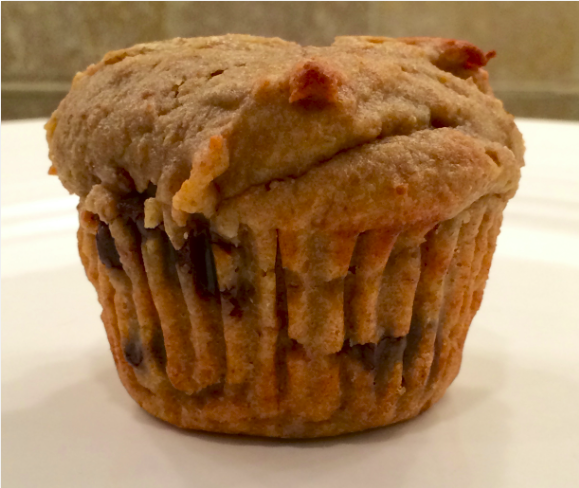 Monday mornings are no fun, but these muffins always make a nice breakfast! Place eggs, butter, yogurt, milk, bananas, and dates in the blender and blend until smooth. Pour into a bowl with the flour and powder and mix just until combined. Stir in chocolate chips. Grease a muffin tray and divide mixture into 12 muffin holders and bake at 340 degrees for 12-15 minutes just until lightly browned and knife comes out clean. I like to make this recipe over the weekend and keep the muffins refrigerated, then microwave them for breakfast or for an afternoon snack. **I got this recipe from chef Jill Dahan.